Drawing inspiration from the fundamental elements of music, British artist Mark Waudby (b. 1966) combines traditional and digital painting techniques to manipulate form, colour and provide texture for his original digital abstract art compositions. 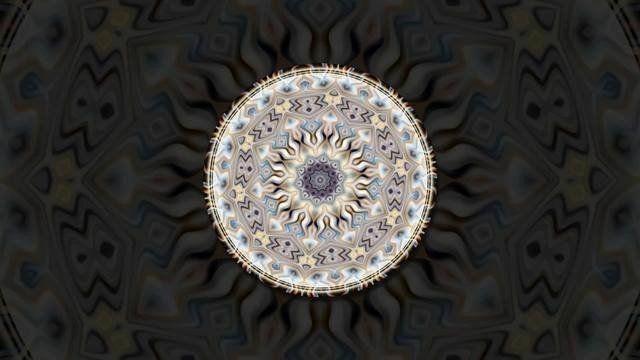 As well as creating visual imagery inspired by pitch, timbre, harmony, tempo and rhythm, much of Mark's artwork (or "painted music" as he likes to sometimes call it) contains an element of symmetry or mandala-style design. Mark is originally from the East Yorkshire city of Kingston upon Hull where he was first taught to paint in oils by the late Fleetwood artist Keith Sutton. However, since becoming a computer science graduate, drawing tablet and screen rather than brush and canvas have become his medium of choice and now Mark's music-inspired digital abstract art is exhibited online and available to view on-screen on PCs, mobiles, tablets and TVs.